So I had many *squee! 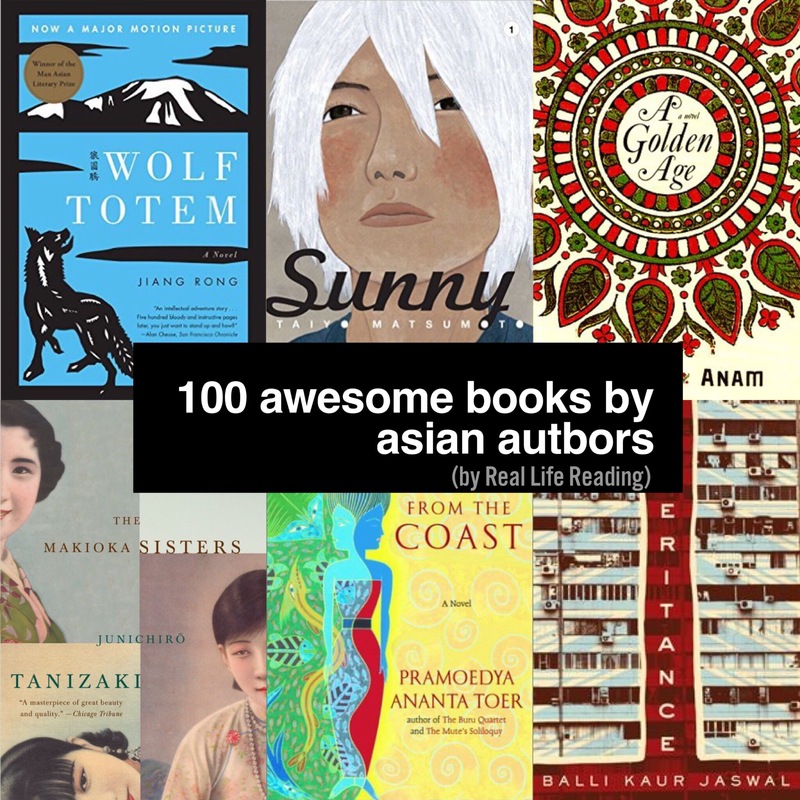 * moments last week when I posted my crazy-long list of 100+ must-read books by Asian authors like when the lovely Naomi Hirahara (whose Summer of the Big Bachi was on my list) tweeted me some great recommendations. And more importantly I wanted to share great books by Asian writers and hopefully get everyone reading more of these books. Thanks so much to everyone who retweeted my link! And also, the super-nice Intisar Khanani sent me her book Thorn, along with a handwritten note. I had picked her book as a prize for Armchair BEA but didn’t realize it would come from the author itself! Can’t wait to start reading it! On a non-bookish note, the Chinese immersion programme (that my 5yo will be in come August) organized an information session for incoming students’ parents on Wednesday and it was good to learn a bit more about what will happen when school starts. We got to meet the teachers – there are 4 Kindy classes in the school, 2 of which are the Chinese immersion classes. But learnt that the school will only let us know whether we are in the AM/PM session the Friday before school starts! Yikes. I mean, that’s kind of ridiculous, especially for parents who need to arrange for daycare (and that’s probably most parents). But I liked that the teachers explained what the day would be like, how we would need to park and walk the kids into the Kindergarten gate, and reassure those of us who don’t speak much (or any) Chinese that they will start off easy. Although it won’t really be that easy to jump into an all-Mandarin class where the teacher will seriously only speak Mandarin to the kids except for a 30-minute English language session taught by the other teacher every day! 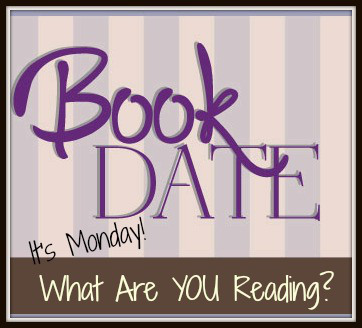 Sunday was a bookish day. We drove to downtown Berkeley where the Bay Area Book Festival was happening. There were lots of stalls selling books of all kinds, food trucks, performances, readings, sessions. But with two little kids, we at least managed to wander around, buy some books, check out the Lacuna (an art installation with 50,000 books all for the taking), and more importantly, listen to Sherman Alexie read from his picture book Thunder Boy Jr! He is one funny guy! I love that he got some young volunteers from the audience to read the book with him. It was so cute. He read it a second time, this time with help from the adults in the audience, getting everyone up to do robot moves, jump and pretend to be lightning. My kids were tickled by it all, especially when Alexie started making fart noises. Yup. The kids are watching Ratatouille while I write up this post on Sunday afternoon. I’m so glad I chose to listen to this one, as I really like Woodson’s voice. It’s wistful and thoughtful. However, I might consider also reading the book again when I’m done with the audiobook. Water and lots of it! So hot… But was thankful for the layer of fog that came in when we arrived at Berkeley – on went the jackets for a bit! I hope to do some crockpot stuff, beef stew, maybe some chicken or pork. It was too hot last week to do much cooking! Now I really want to eat a chocolate chip cookie, thanks to this Smitten Kitchen post. Bina at If You Can Read This reviews The Girl Who Fell from the Sky. Which I hope to get to. You know, one day. If you’re reading and reviewing diverse books, add your links over at Read Diverse Books Year-round for a chance to win books! The Book Festival sounds fantastic. You never know how it will go when you take little people to events like that, but I’m glad your family had fun! Hope the Chinese immersion goes well. It would be so nice to speak Chinese. Do you think the boys would have lost the ability if they were only speaking at home? I remember being very stressed at once a week Chinese school because I could hardly speak Chinese and everyone else could. I think you really need to be hearing Chinese all the time and speaking too, and it’s also the making it normal which is important. Thank you for linking! Do let me know what you think when you read The Invisible Library. The Chinese immersion classes sound amazing! Hope your 5yo will be able to manage the Mandarin. Hopeyour son’s immersion classes will be great and you’ll manage the short notice arrangement of schedule! Fart noises are always a winner with kids! That’s really neat that your kids got to see Sherman Alexie, too. “Thorn” is gorgeous! I’d love to have such a pretty book in my shelves. Hope you enjoy it. Gosh, California is the best place for book festivals, it seems. I’m so jealous!